You gaze over the shoulders of an Iraqi soldier, watching as he carefully aims his rifle through a tiny hole in the wall. Over the wall’s edge, all you can see is blue sky and black smoke. You turn, and behind you crouches a young man in a helmet. He’s wearing a blue vest that says, “PRESS.” He scuttles across the rooftop, ducking and taking cover. Then you hear the soldier’s gun, firing through that tiny hole in the wall. This is the opening scene in one of the New York Times’ innovative new virtual reality videos. Running at just over 11 minutes long, The Fight for Fallujah tries to tell the story of Iraqi troops’ battle with ISIS, in the city that was also the site of prolonged conflict for U.S. troops back in 2004. But this isn’t just another news video. Instead, the viewer gets a 360 degree look at the battle, all thanks to virtual reality technology. Using the New York Times VR app and a cheap pair of cardboard goggles, viewers can—supposedly—really “be there.” They can look to the left and see troops running toward the front lines. They can look to the right and see tanks rolling by. And behind them, viewers can see Times videographer Ben Solomon and his field producer, Mouataz Majed Mohamed—who both act as guides for viewers as the video rolls. This “uncanny feeling of connection”— achieved by the viewer’s so-called “immersion” within the scene—is a common theme in the discourse on virtual reality. The promise that former “viewers” can now be “participants” in the media content they consume is nothing new. 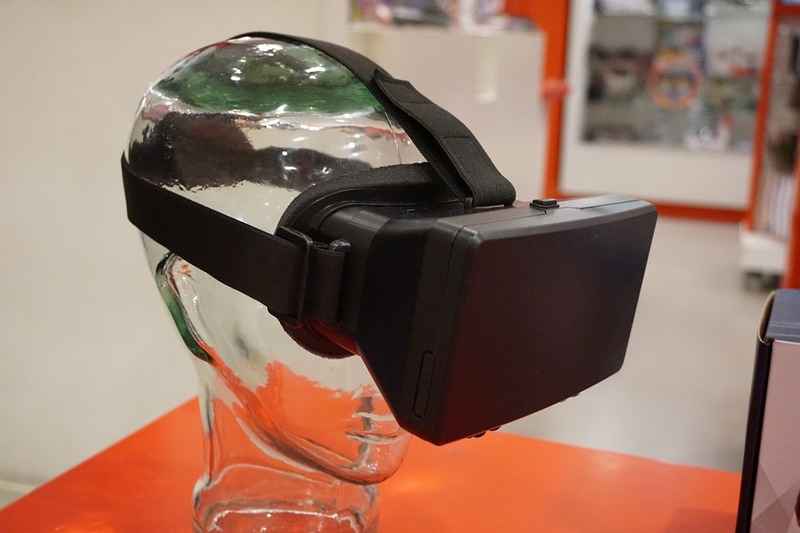 But lately, more and more news organizations are turning to virtual reality to build stronger connections for their audiences. The New York Times is at the forefront of this VR movement. A number of the Times’ VR reports deal with international topics, despite the fact that earlier in 2016, the Times announced plans to cut about 70 staff positions at its international operation’s headquarters in Paris. Alongside those cuts came the Times management’s announcement that it would also be investing $50 million in expanding the publications’ digital reach in order to gain a more global readership. From a cynical standpoint, it’s easy to see why the Times would be interested in something as flashy as virtual reality. Newspapers have been in financial trouble for years, while news audiences practically live online these days (rather than “reading” the news with their morning coffee). What better way to engage these digital news audiences than by cultivating their immersion within the space where the news is being made? Though the impetus behind the VR journalism movement appears to be all about business, reporters and editors like Silverstein are suggesting that VR also engenders a more ethical orientation toward the world around us. By jumping into the world’s distant places, we are told that we can better relate to people who are different from us. This “uncanny feeling of connection” was a major focus of Displaced, a story of three refugee children purportedly told from their own perspective. But as it turns out, perspective is the main problem with Displaced, and with The Fight for Fallujah. Both of these films maintain a troubling binary between “Self’ and “Other,” one that is common in mainstream, international news reporting. In these films, the “Other” is an Iraqi soldier or a child refugee, while the “Self” is an English-speaking American. For example, in Displaced, the refugee children “narrate” their experiences in their own languages, but their narration is tightly edited into simple little soundbites. The children’s’ words are also accompanied with English (and only English) subtitles. The viewer is given absolutely no context on how these refugee crises came to exist, and which nations have been complicit in the children’s status as refugees. Instead, the viewer is offered the opportunity to feel “sad” for the children, helped along by the melancholy musical soundtrack. Yet, there is no opportunity for news audiences to gain a more nuanced understanding of why these children ended up as refugees at all. The history of U.S. war reporting is littered with such double standards, with stories of governmental and editorial battles over whose deaths can be shown to the public and why. In The Fight for Fallujah, Solomon narrates in an informal, first-person style, directing the viewer’s gaze and telling the viewer how to feel. We know almost from the beginning of the film that we are supposed to feel suspicious of the Iraqi soldiers with whom Solomon has embedded. This is because he calls them a “ragtag unit” with “mismatching uniforms and little organization.” We also know that we’re supposed to fear and despise the ISIS soldiers, even though they never once appear within the frame. There is only one moment where we ostensibly see an ISIS soldier: when the camera rests on his decapitated body. It’s hard to imagine the New York Times producing a VR video in which a decapitated American soldier might be featured. Nor is it easy to imagine a VR piece that gets visually “up close and personal” with the civilian casualties that have piled up since the 2003 invasion of Iraq. The history of U.S. war reporting is littered with such double standards, with stories of governmental and editorial battles over whose deaths can be shown to the public and why. It is much, much more common for news organizations to show images of “Others’” deaths in wartime than to show images of dead Americans. Though Solomon voices his discomfort with this particular death, attributing it to the “brutality of the Iraqi soldiers” he’s been following through Fallujah, the fact remains: virtual reality viewers can get up close and personal with a decapitated, non-American body in this film, and that’s because it’s the body of an “Other”—of someone the viewer is “not,” and will never “be.” What’s more, the VR film doesn’t provide any context to help the viewer make sense of this battle. We know that Iraqi troops are fighting ISIS. We know that American troops were here in Iraq years before. We know that Iraqi troops win this particular fight. Granted, the Times VR videos are usually only one piece of the larger multimedia projects that dig more deeply into these stories. But how likely is the average viewer to seek out this “extra” material and read it in its entirety? Especially if this viewer is downloading the VR videos from an App store? Because of their pointed commercial appeal, the Times VR videos make it easy for viewers to avoid any of the messier questions about international conflict. Though the videos promise their viewers’ “connection” with the people onscreen, this connection is superficial. It does not add to the viewers’ understanding. And though these videos promise full immersion within the battlefield, viewers can leave the experience unscathed by the horrors of war.